There’s nothing worse than seeing your phone’s battery percentage meter drop below 20 percent especially when usually happens when you need it most. Such thing is more rare if you own a big battery phone like Ulefone Power 3s or you can use its powers to reverse charge some other device as a powerbank. Interested in how it works in real scenarios? Let’s take a look at the video below. Packing a huge 6350mAh battery, the Power 3S has enough juice to last four days even under heavy usage, making it an ideal choice when you need external power source. As shown in the video, connected to an USB hub via an OTG cable, the Power 3S can simultaneously power up 4 phones- respectively the iPhone X, Xiaomi MIX 2, VIVO X20 and Huawei P10 Plus. Though differing in charging ports, the four phones are charging normally during the test. 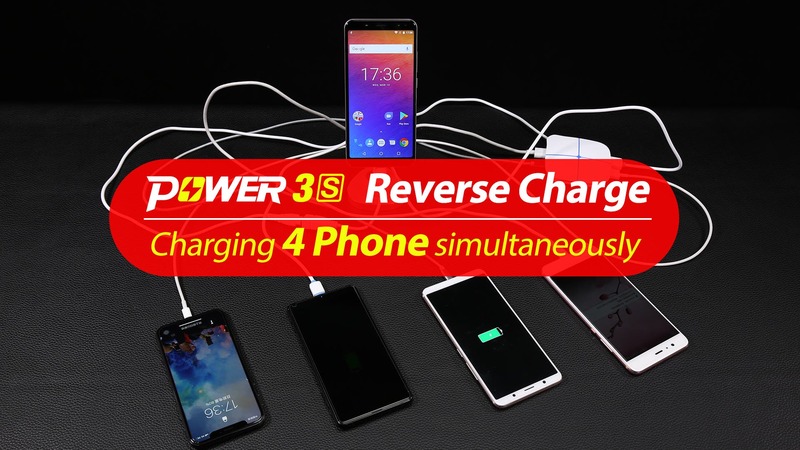 Aside from that, the Power 3S also support safer 5V/3A fast charging technology,which can be replenished in merely 120 minutes. Under the hood, the Power 3S is equipped with a new powerful Helio P23 octa-core processor coupled with 4GB of RAM and 64GB of internal storage expandable up to 256GB, 18:9 6.0-inch all screen display with FHD+ resolution, 13MP/5MP selfie snappers, 16MP/5MP rear shooters, trendy facial recognition system, and a rear fingerprint. As for OS, the Power 3S runs Android 7.1 Nougat out of the box with promised Android 8.1 Oreo update coming very soon. Currently the Power 3S is available for a special price of $167.99 and you can grab one for example in here.